I always enjoy bringing a small gift for whoever braves the job of hosting Thanksgiving. It’s just a lot of work even if you’re just making the turkey. This year I’ll be bringing pot holders to our host because lord knows I don’t want to be having 20 people at my house. 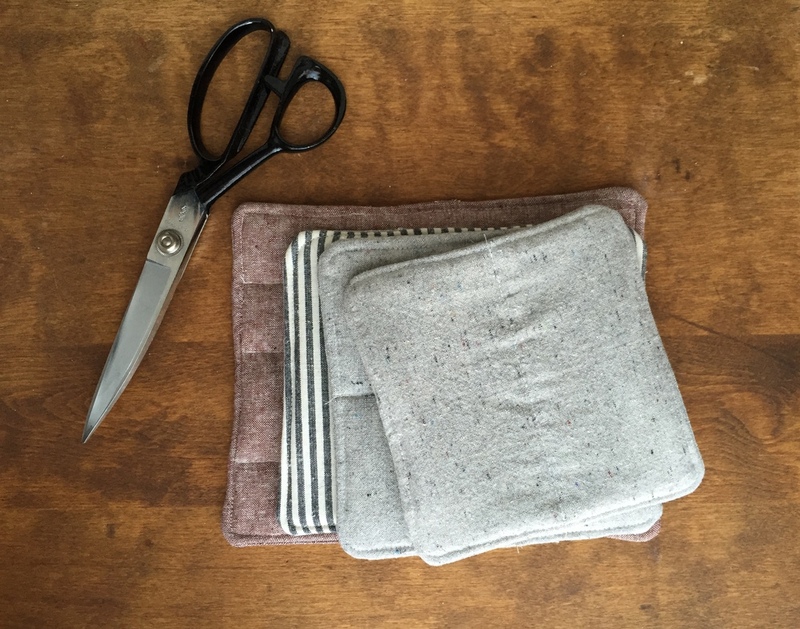 I made these four in about 30 minutes with a few of my favorite fabrics that are hard to keep in stock at Bolt. 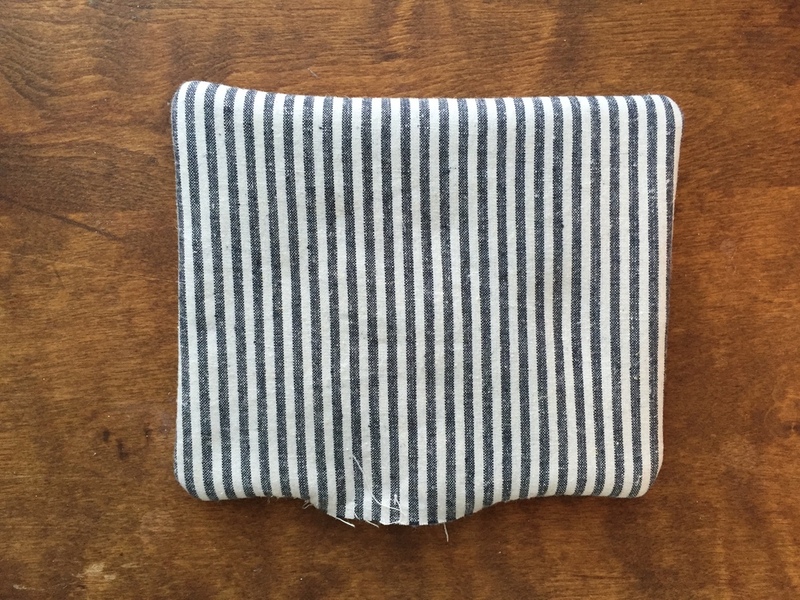 The grey is our famous recycled hemp/organic cotton blend, the brown is Robert Kaufman Essex and the stripe is an indigo hemp/organic cotton blend which also comes in red and brown. 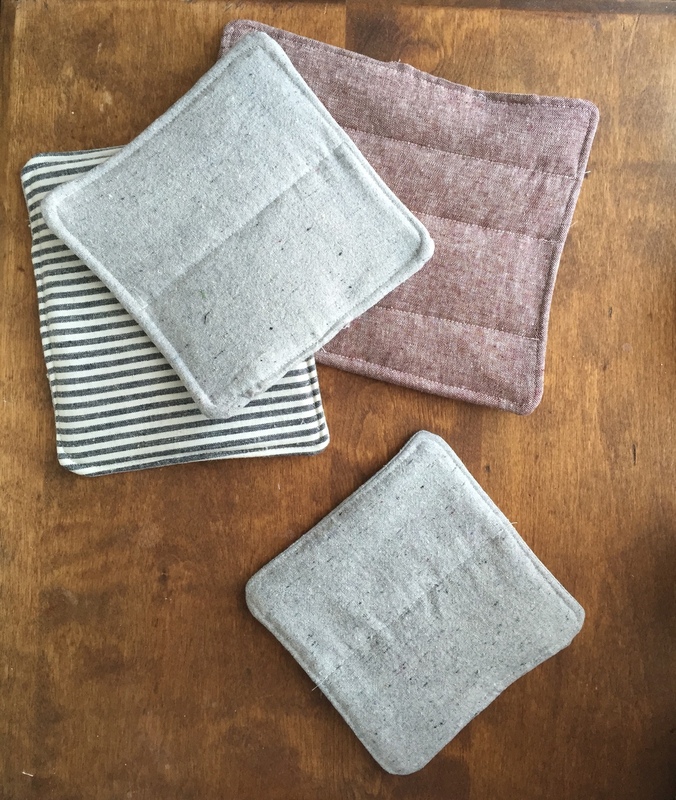 I made these pot holders by using a technique called bagging which can be used for blankets and coasters and linings in jackets. The process is simple. 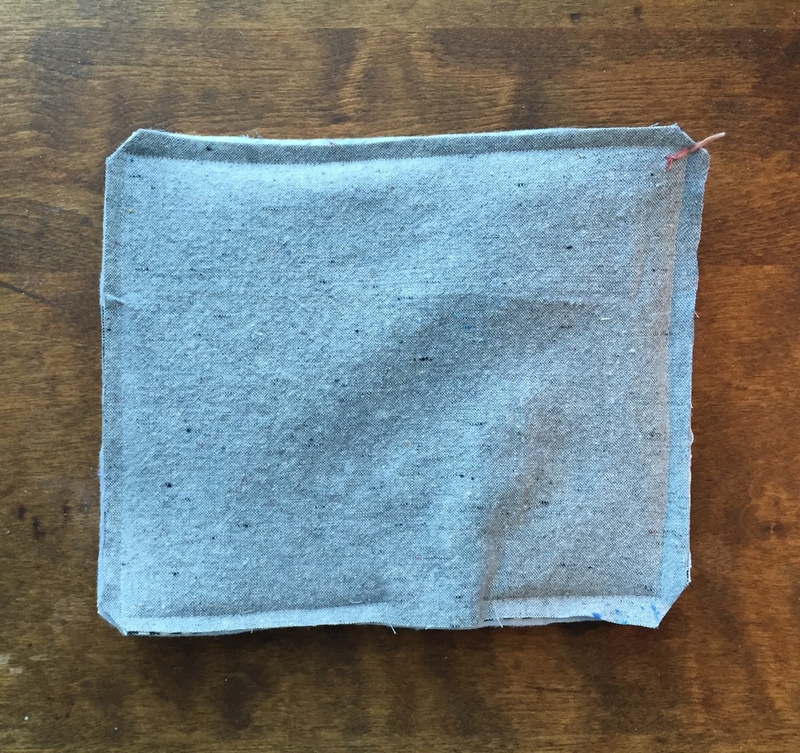 -2 main fabrics that are 1” larger that you’d like your finished dimension. -Insul-brite: 2 pieces that are 2” larger than you’d like your finished dimension. Place the Insul-brite on the bottom and your outside layers on top. It’s good to have the Insul-brite a bit larger than the main fabric so you’re sure to catch it all when you’re stitching. Always start from the middle of a side so the last step is tidy. Trim your corners and the excess batting. Make sure you don’t clip to close to your seam! Flip it right side out and press your corners out with a point turner. 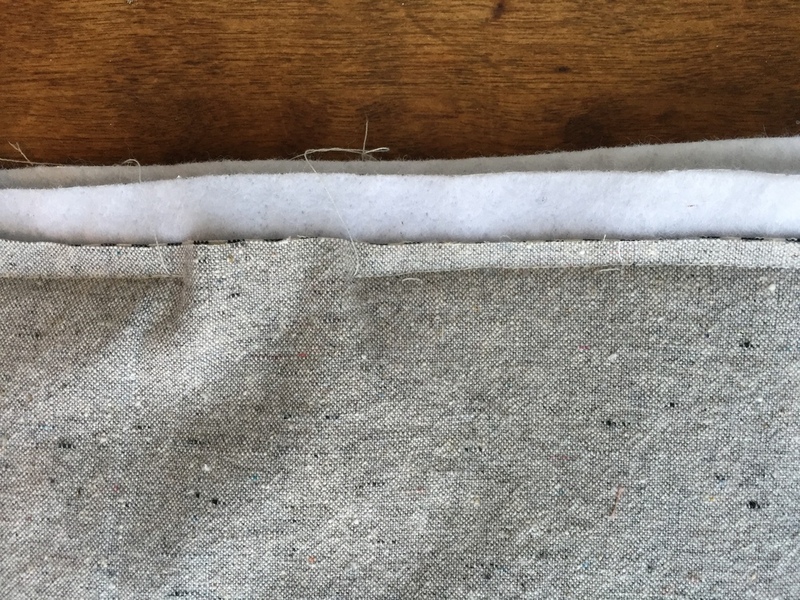 The Insul-brite is neatly sewn into the edges of your fabric and will not shift around! Toptstich. 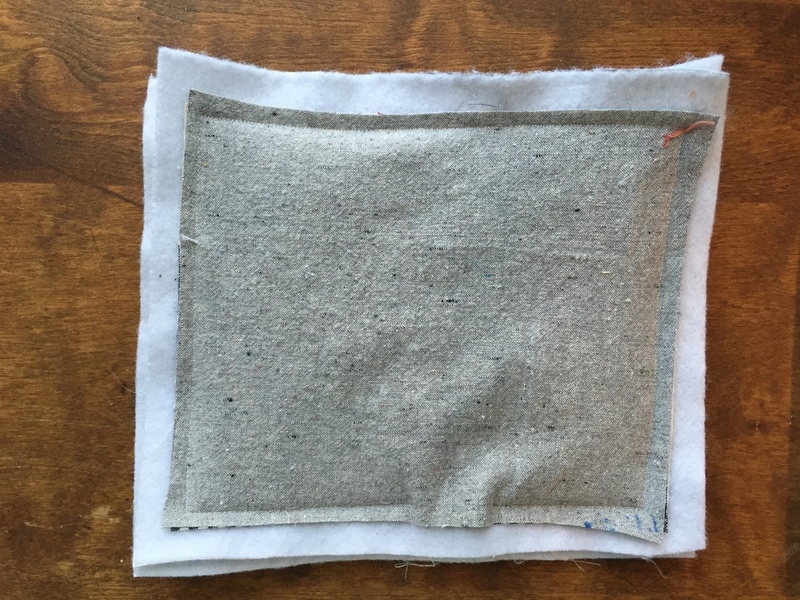 Be sure to tuck in the unsewn edges enough so when you topstich you catch the raw edges inside. I did a few quilt lines to finish these with a clean simple detail. Come by soon! New goodies are arriving at the store everyday and we’ve been stocking up on some adorable stocking stuffers!